Freesky discount : 76 ? The deep pore cleansing brush has a combination of thick and thin bristles, that clean even the hardest-to-reach areas of your face like the creases of the nose. 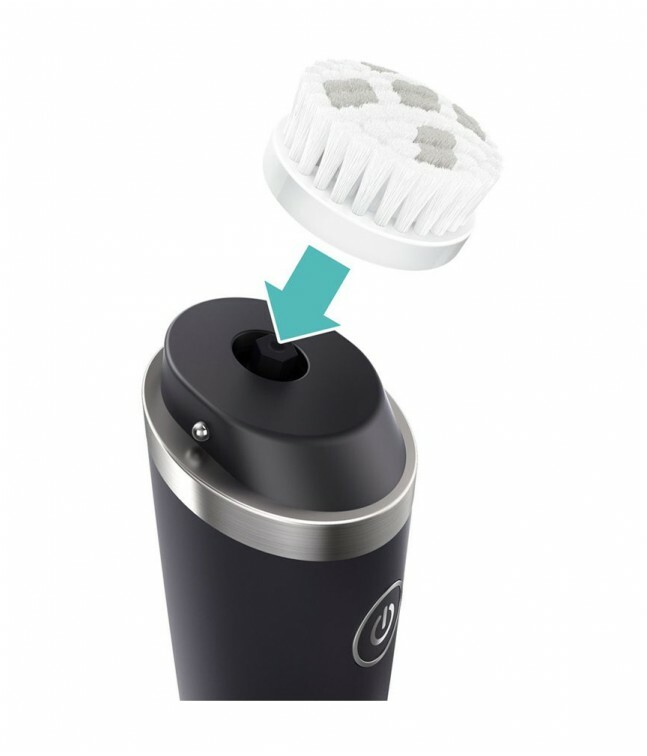 The specially-designed bristles are suitable for use twice per day. The 20,000 bristles have a unique combination of thicker and thinner bristles. The thinner bristles reach into the pores to thoroughly clean them, while the thicker ones swipe away the dirt effectively. This way, the deep pore brush helps reduce blackheads and make pores less visible. To keep your VisaPure MEN hygienic, replace your brush head every 3 months by simply clicking on a new brush head replacement onto your VisaPure MEN.